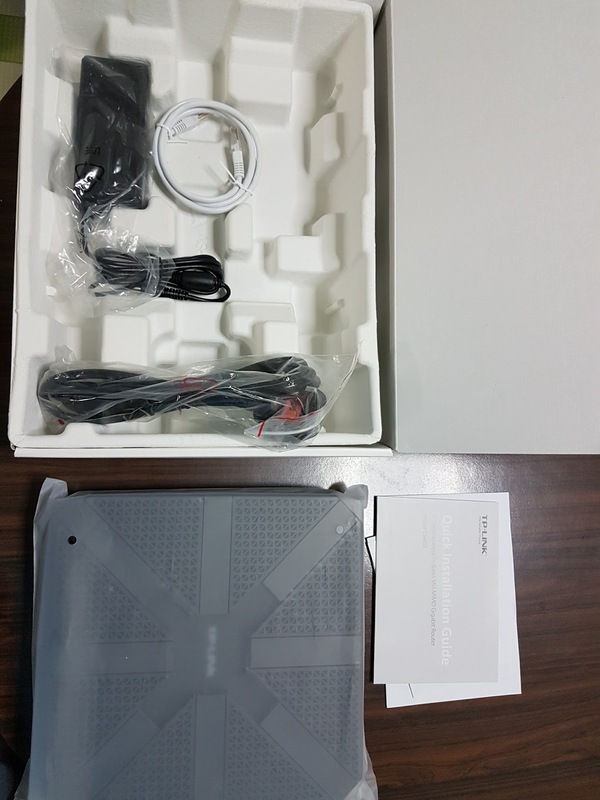 The TP-LINK Archer AC5400 router is TP-Link latest router offering, with three WiFi bands and a newbie friendly interface for your home networking needs. 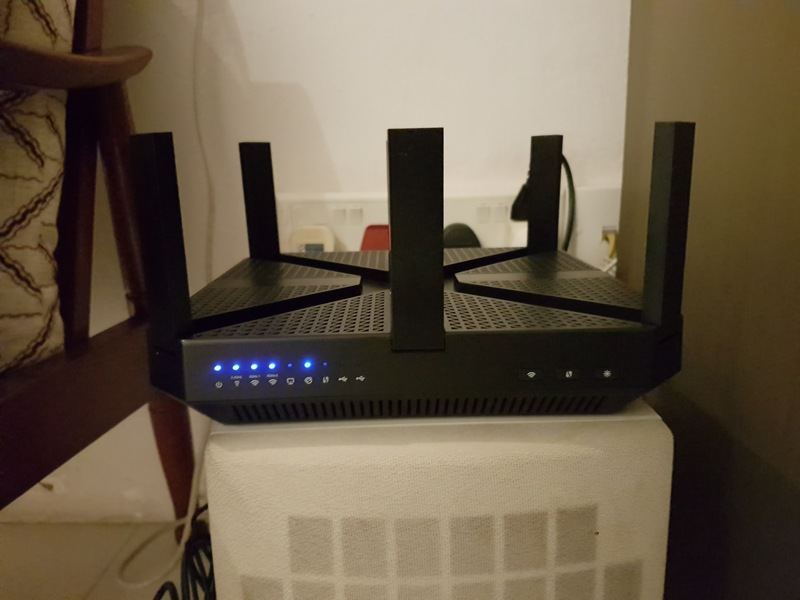 With 8 antennas that surrounds the router, it looks like a crown. It’s matte black and rather inconspicuous if you fold down the antennas, and comes with a power brick. It does run slightly warm, but that’s quite common among today routers. In terms of antenna positioning, they are quite limited to that of other brands. These are fixed, non-replaceable and can only be set vertically up. The Archer AC5400 uses Blue LEDs, which are quite bright. You can turn it off via the Web UI. The Web UI is well defined and easy to navigate. The initial startup Wizard also makes it easy for newbies to set up their wireless configuration. If I were to nitpick, it is that the interface is not mobile friendly, it doesn’t conform well to the limitations of a mobile screen. That said, I understand there’s a TP-Link Smartphone app, but I don’t see the need to install it on my device. More Bands, More Devices – Tri-Band Wi-Fi offers three distinct wireless bands for more devices. The Tri-Band Wi-Fi combines for speeds to 5334Mbps, and lets you dedicate an entire band to gaming without slowing down your network. 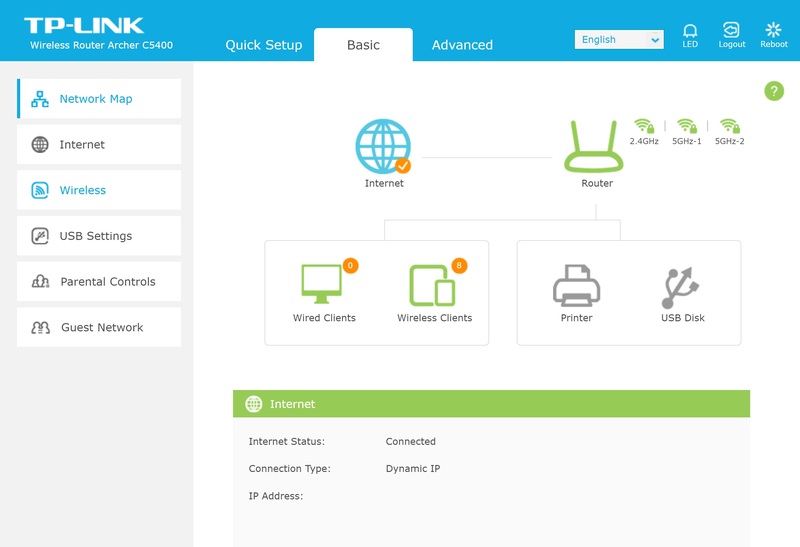 You can configure it manually, or leave it up to TP-Link Smart Connect, which would handle assignment and load monitoring. Smart Connect works quite well for me. 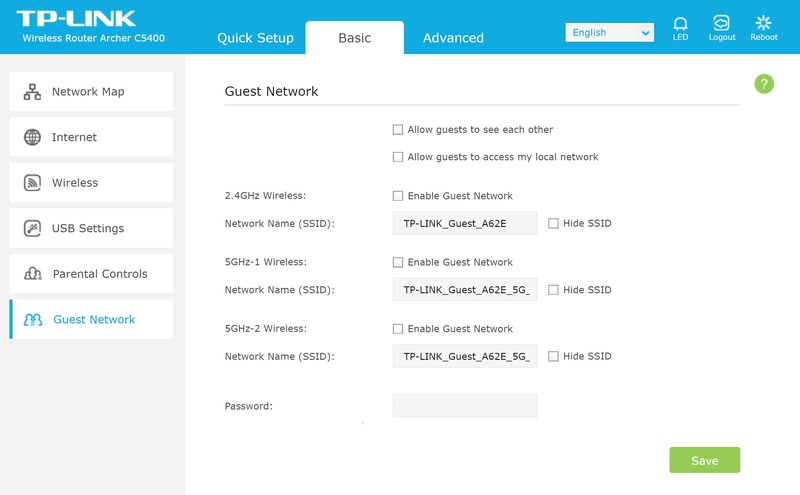 There’s also support for Guest networks, which you can turn on and off through the Web UI. Easy way to share your internet connection without revealing your passwords and compromising your own network. 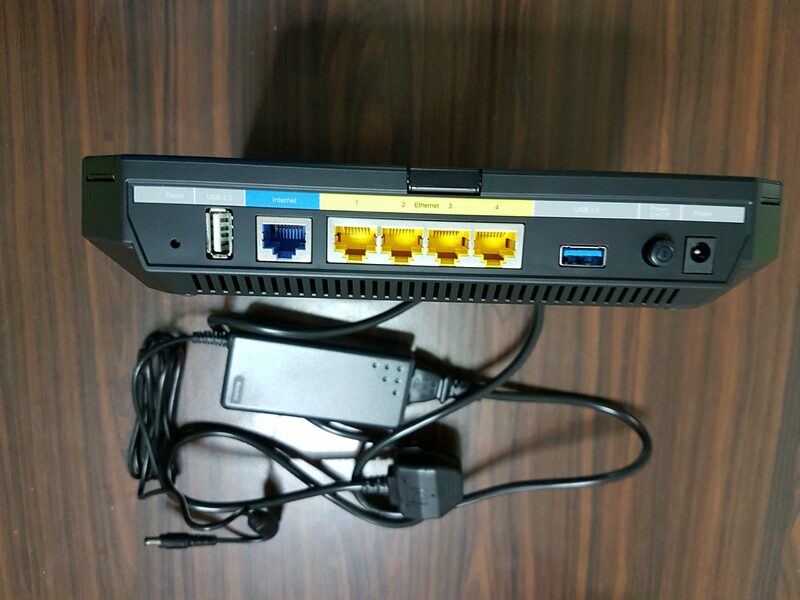 In other areas, the Router has two USB ports, 1 USB-3.0 and a slower USB-2.0. It can serve as a basic NAS and a print server. There’s also support for Open VPN and PPTP VPN. Performance with multiple devices connection (~10) was quite good, with each having sufficient bandwidth. However, in terms of Wi-Fi coverage, it seems to perform a little poorer compared to the D-Link DIR 885L, at the furthest point of connection. 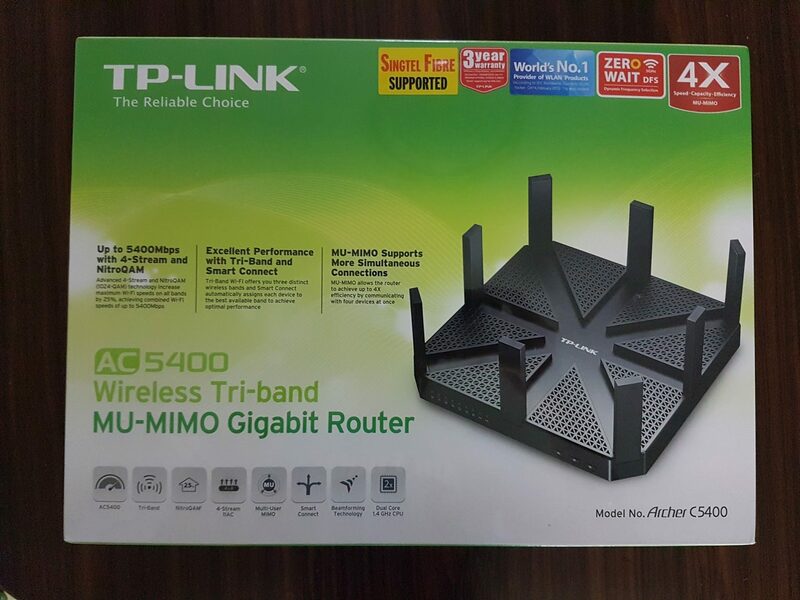 The TP-Link Archer C5400 is a stable and well-performing router, with an easy to use Web interface. It retails for S$399 and comes with three year warranty.